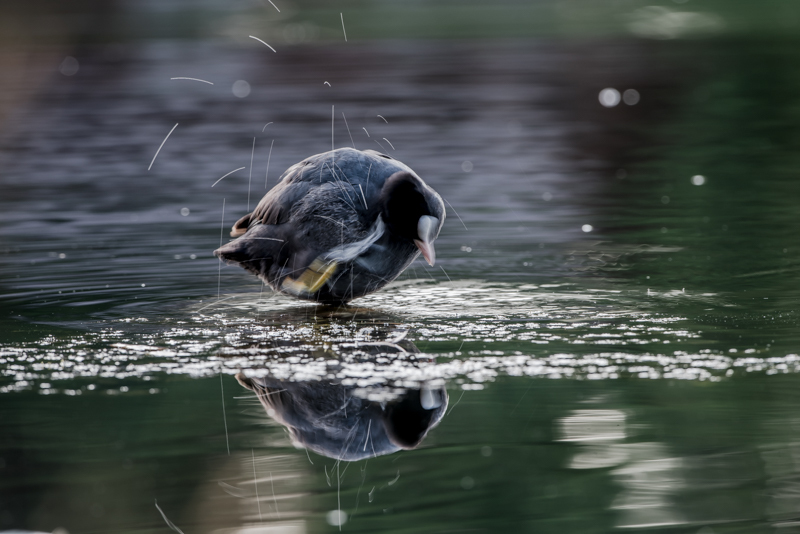 I have never paid much attention to the coots as they are not very colorful nor rare nor special birds in any means. 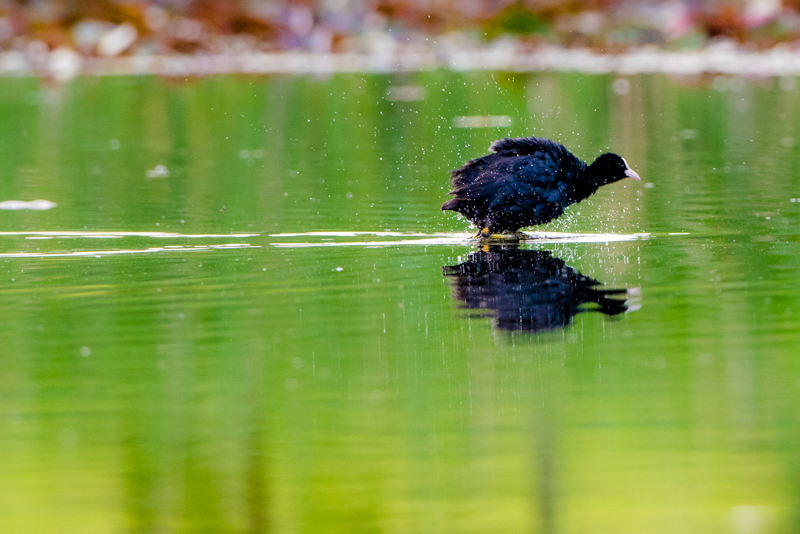 However, I have been observing a coot family for some time and started liking these little guys. 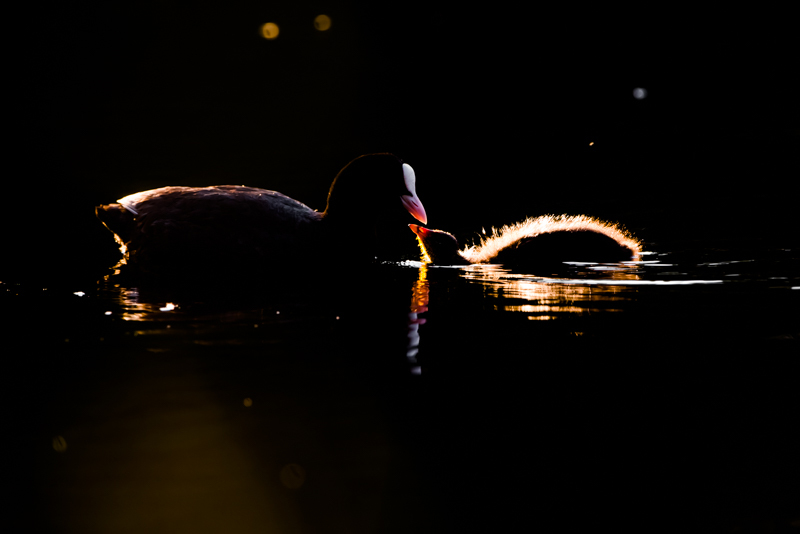 I think the challenge with them is to take great pictures of a bird that seems to be ordinary or boring. 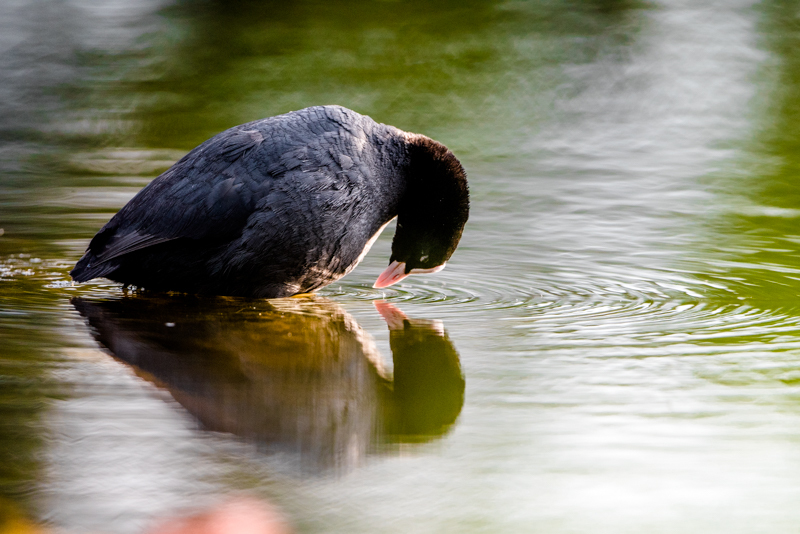 Quickly on taxonomy, the Eurasien coot (Fulica atra) is a species of the rails family. 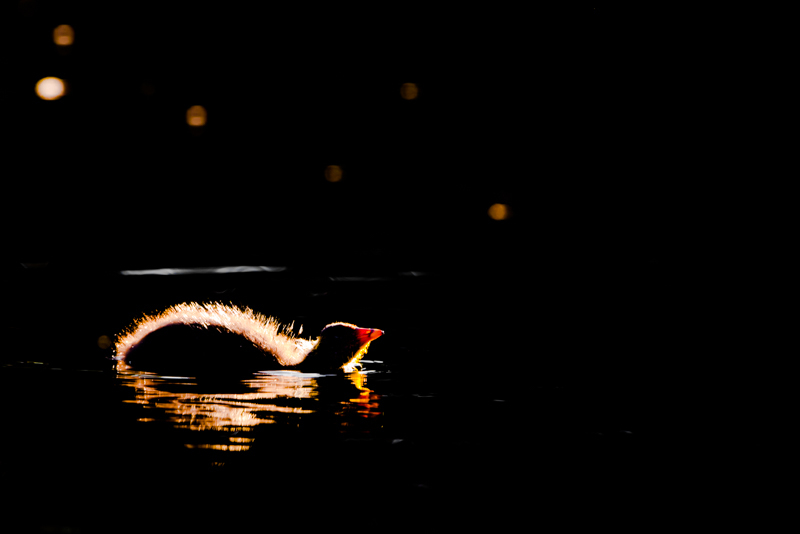 The below two images show a coot chick and its parent (second picture) in full backlight during sunset. You know how much I love photographing backlight by now probably. The below two images are samples of a new thing that I am start trying out more and more and that I really want to master. Long time exposure combined with animal movement. That’s not a new thing. I believe people are experimenting with that technique for quite some time but I have no experience so far. 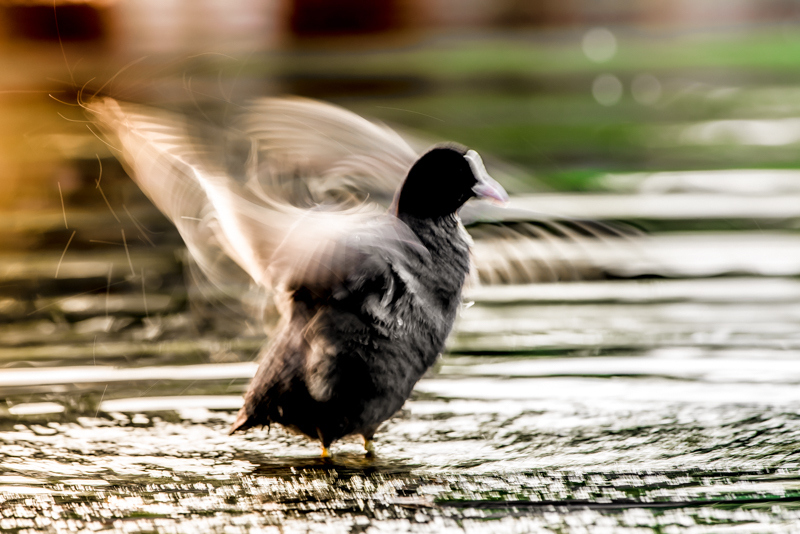 Check the low shutter speed and the aperture – make sure you use a tripod as any unwanted movement of the lens would destroy the idea of the picture. These tests are not yet what I want in terms of quality by any means but they are a great start I would say.